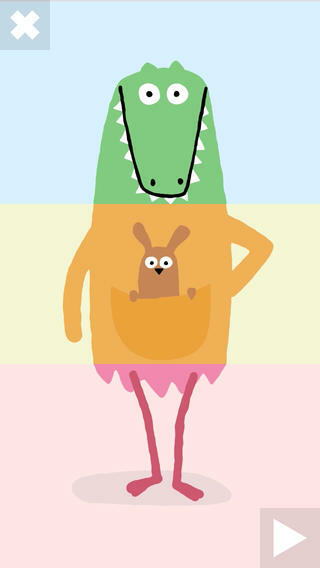 FREE for a limited time – Miximal, another cute educational app from the makes of Drawnimal. This fun app is a digital version of a traditional flip book. Kids mix and match tops, middles, and bottoms of animals. In the process they create silly and unique creatures. The app features over 1000 animal combinations with accompanying animations and fun sounds. The app also generates a three syllable name for each new creature that is created. Kids can take a screen shot of their new creature and write a story about it. Teachers could use this app for a group lesson on syllables because there is a logical pattern. The app can also be switched to five different languages: English, French, German, Italian, and Spanish. Check it out. It’s another fun app from Yatatoy and Lucas Zanatto!